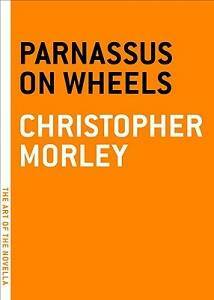 LH: Last post, crumpet, you mentioned Parnassus on Wheels by Christopher Morley, in which the main character owns a bookstore. That got me thinking about books in books – there are a tons of awesome book-related books out there! Wanna discuss? RJS: You know I do! Parnassus on Wheels is about a country woman who leaves her life on the farm to drive a wagon that is also a bookstore, it’s like a pre-bookmobile. The story tapped into that yearning I get sometimes to just up and quit everything and just go around talking to people about great books. Is that normal? I really wanna do it, but it would require putting on pants, so don’t worry, I’ll stay put for now and talk to people about books on the internet. The book has wonderful quotes about literature and reading, stuff that would make any chorus of book lovers shout “Amen!” What kinds of meta book-in-book stuff makes your skirt fly up, sugar? LH: I accidentally did things backwards and read the follow-up to Parnassus first: It’s called The Haunted Bookshop, and is a delightful tale of a second-hand bookstore and the wonders that can be found. Now I’ll have to read Parnassus on Wheels! (This will not be a problem – the Melville House Art of the Novella series books are so delicious-looking, I want to eat them all.) One of my favorite books-in-books books is Fly By Night by Frances Hardinge. It’s about a headstrong girl and her extremely bitey pet goose who live in a time where books are banned and reading is against the law. Fans of the Inkheart trilogy will love this book. And for a fabulously fun booky-book about books, there’s My Ideal Bookshelf. Famous literary figures contributed lists of their ideal bookshelves, and Jane Mount illustrated what they would look like. This is *perfect* for the bookworm in your life. Assuming you aren’t the bookworm in your life – then I say buy it for yourself. Any books you love, kitten, that take place in libraries? 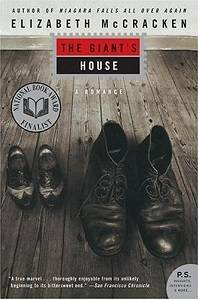 RJS: Some of the best scenes in Among Others by Jo Walton, which I read on your passionate recommendation, take place in a library. Does that count? It’s a wonderful story about a girl who feels lonely and out of place until she discovers a sci-fi/fantasy reading group at a local library, and it’s something we can all relate to–there’s nothing better than finding other readers and knowing that you are among your people. Oooh, and there are some very steamy scenes in a library in Nine Rules to Break When Romancing a Rake by Sarah MacLean! What book lover hasn’t thought about having a little lovin’ in a book-filled room? I mean, come on. LH: Among Others totally counts – that book is the reason I came up with the word ‘nerdpurr’! I LOVE IT SO MUCH. I know I’m going to get a cease-and-desist letter from her lawyers soon because I talk about her constantly, but Elizabeth McCracken’s novel, The Giant’s House, is pretty much the most perfect book there is. It’s about a librarian who befriends a young boy who grows to be eight feet tall. There’s a lot more to it, but I’m going to refrain from revealing any more and instead switch to Mr. Penumbra’s 24-Hour Bookstore by Robin Sloan, about a guy who takes a job working in an unusual bookstore. This hits all the nerd spots! Books! Secret codes! Glow-in-the-dark covers! No really – the cover glows in the dark. Any nonfiction about books you love? RJS: I completely adore Anne Fadiman’s Ex Libris, a lovely little collection of essays and vignettes about the reading life. Even though Fadiman and I don’t always agree–I think it’s fine to leave your book laying open face-down on a table if that’s what makes you happy–I totally dig the way she expresses what it is to be a person whose life is shaped by books. And for something fun and irreverent, Beowulf on the Beach by Jack Murnighan. It’s like Cliff Notes for the classics, except actually useful because it tells you where all the dirty parts are and what you need to know about each book in order to sound smart about it at cocktail parties. What about you, my sweet? Do you dig nonfiction about books? LH: Oh yes! I think A Gentle Madness: Bibliophiles, Bibliomanes, and the Eternal Passion for Books by Nicholas Basbanes is one of the best. I’m even going go ahead and declare it a classic. It’s about book makers, book hoarders, book thieves – it’s full of fascinating stuff revolving around books throughout history. This book is an absolute necessity for bibliomaniacs. Moving away from the nonfiction, I have a few wonderful picture books to recommend: The Fox in the Library, which is self-explanatory and freaking adorable; It’s a Book, in which a donkey and a gorilla discuss ebooks vs hard copies; and Again!, which has a little dragon who keeps asking for a book to be read over and over and over. Any more bookish goodness you want to get in today before we ask the internet what they love? 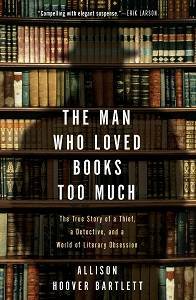 RJS: The Man Who Loved Books Too Much by Allison Hoover Bartlett is an awesome true crime, heist-filled story about a man who spent his life stealing and collecting rare books simply for the joy of being surrounded by them. He didn’t want the dollars! He just want the preciousssss. It’s totally fascinating. The cat-and-mouse game he plays with an almost equally obsessed detective–and what ultimately gets him caught–is one of those “truth is stranger than fiction” delights. Book people are such a wonderfully weird bunch! And on that note, it’s your turn, wonderfully weird book people: what books-in-books stuff rings your bells?